Ever since it’s inception, there has been a lot of talk about Klout. For those of you who don’t know what it is, Klout is the self-proclaimed “standard for measuring online influence” You can read all about it here. 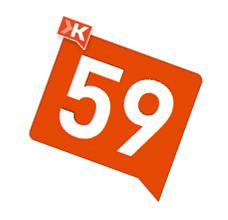 This isn’t really as much about Klout as the conversations surrounding it – particularly as of late. It seems every time I log in, I get hit with some post or status update about someone moaning about how they don’t like what Klout is doing. It got to the point where Klout’s CEO, Joe Fernandez had to post something on their blog explaining what Klout is and why they do what they do. Really? He has to explain why his company exists? To all of this, and all of them, I am saying: Enough Already. Seriously, are you really hung up on your Klout score? Recently Klout adjusted their algorithm and some folks’ scores dropped significantly. Some of them really let it fly and have threatened to deactivate their Klout profile. Come on now. Really? So a site that ‘measures online influence’ tells you that you are not as influential as you thought you were? That’s like me smashing my mirror because I don’t look as dashing as I am in my mind’s eye. Get over it. SEO companies don’t get irate when Google releases a new version of their algorithm to keep them from getting their content up at the top of the SERPs. They either adjust or give up trying to game that system. I recommend you do the same. Think of the new Klout algorithm adjustments as the Panda to your social score. It’s intended to make sure that people who really are influential to have more credibility and penalize those that game the system. Truth be told, there are a ton of folks out there that had huge Klout scores prior to them adjusting this algorithm that were a) clearly gaming the system and b) don’t have any REAL influence with anyone. Rather than name names and start a whole big brouhaha, stop and think for a second. Do you know anyone in your field that is all over Twitter or Facebook posting gratuitous garbage posts exercising what I coined a while back ‘fauxgagement’? Do you even know what your Klout score means? You know them, come on. They are the ones that put out a question that really should never be asked like, “What do you prefer chocolate or vanilla?” When I see things like this it screams ‘gaming their Klout score’ to me. I’m sorry, it does. Or maybe you have that other friend that tweets 60 times a day about absolutely nothing and is up there chatting with people just like them about absolutely nothing? We’ve all sat around and joked about these people and there 60+ Klout scores, all the while knowing that only a complete newbie would listen to them about anything social related. The problem is, they are turning around and bragging to potential clients about this silly score and saying that it’s a good way to tell that they know what they are talking about. THIS is why Klout changed their algorithm. Prior to that, volume updates and mundane conversation back and fourth with the same two people were weighed too heavily. You notice that people who you think are actually influential showed very little, if any, change in their score. A bell should be going off in your head right about now. If you have enough conversations consistently with enough people and you are good enough to keep a good conversation going you will generate mathematical influence with those people on that subject. Let me explain. I come up in some people’s Facebook newsfeed a good percentage of the time for this reason. I have conversations with them (or our common friends) regularly enough that Facebook’s algorithm says, “Hey, Patrick and you (or your friends you have in common) have had regular conversations for a while so you probably will want to see more of this content since it’s a good portion of your time on this site.” Unless you choose to hide me from your newsfeed I will continue to show up, I promise you this. The kicker is that I will rarely show up on someone’s Facebook if we have no friends in common – kinda like real life. Now, if I wanted to game it, knowing what I do, it would be easy enough for me to pick a handful of our common friends (even if we aren’t connected) and just have tons of conversations with them and boom, I will be in your face. This is the only way any algorithm of this kind can work. Klout doesn’t say you have influence over all people on all subjects – because nobody does. It tries to measure influence on specific topics with specific circles of people. I’m beginning to repeat myself so I’ll stop. In the real world, I may just hang out with the folks you tend to hang out with a lot and the same will hold true. People have been doing this since the beginning of time to get on the minds of a person they want to know. None of this is groundbreaking. I’ve said it a million times: social media is not a new concept. It’s just a more technical version of what we’ve done as human beings for ages. I have been known to be sarcastic at times and a little cynical at others. I’m ok with that. This isn’t one of those times. From the knowledge I have gathered over the years, I can say that influence is nearly impossible to measure. Why? Too many variables and too much qualitative data. It also doesn’t just exist online. Some of the most influential people in the word are not online. Influence, simply put, is how much people that know (or feel they know) you respect your opinion/authority on a subject, will listen to what you say, and take that into account when making a decision. Oprah will never influence me when it comes to beer and Ashton Kutcher will never convince me that he knows the best video card for my computer. And if they did, that would be more of an issue of my judgment more than it would be Klout’s problem. So people, PLEASE, get over this silly number that you think is following you around and defining you. Focus more on actually influencing those that you feel you are important to. Stop gaming, stop complaining and focus on what’s important. PH, which is better for your Klout score, a Facebook comment or a Livefyre comment here? I have no idea how this is calculated but this is my Klout score from this morning, Looks pretty bogus to me. Wow, Joe, a 20 point drop. I bet you are really hatin’ on Klout today. Of course in my case, I am highly influential in stuff no one cares about. But I did get some free Moo cards while I was riding high. @joemspake Wild, my score personally hasn’t moves around too much over the last few years. I’m pretty stable. I can’t explain it but I am not caught up in it either. Everyone is influential on subjects they are experts in among those that know it. I will be honest, telling folks about that expertise is more valuable than trying to crunch some numbers to figure out some score. I think it’s a good tool but if it told me I was not influential I would doubt it. EVERYONE has influence. Perhaps different scores with regard to subject and circle of friends would be a better measure. For example, I know I am not as influential about BBQ in @joemspake ‘s circles but in NYC, I am a heavy hitter. @JoeFernandez Thanks for the update, Joe. Geez, an awful lot of guys names Joe hanging out here. @[email protected] Thanks Joe F. Just a thought: would updating the score based on a rolling average, like 7, 14 or 30 days, alleviate some of these issues of wild swings and maybe smooth things out when we take a couple days of social media vacation? @[email protected] Joe Party! We actually have the scores on a 90 day rolling average. The issues over the last few weeks have been tied to specific Google+ and FB problems. Why does Patrick Healy’s blog award points? What are they for? @[email protected]@JoeSheehan I think there is going to be swings in the scores whenever a) you yourself add a new network to your profile or b) when Klout adds a new network to their system. You can’t avoid this. I like that the algorithm is adjusted for the better and is intended to weed out the gamers. In some ways, Klout is like a Zestimate. Nobody ever complains when their home is overvalued on Zillow. I’ve not heard a single grumble about someone having too much Klout. @JoeSheehan Most commenting systems do something to this effect. Livefyre just gives you a point for every comment and I think points when people like your comments. Disqus and IntenseDebate have similar tracking I believe. Plus, when you comment on my blog you are a better person for it. 🙂 I don’t know if it means anything at all. I think you’re spot on when you say that it would be more an issue of your judgement than Klout’s problem. Good stuff. @Charlotte74 Thanks for the warm words. I’m just trying to give a little perspective to this very polarizing subject. The debate over the value of Klout is raging. Klout is certainly not without it’s problems. I’ve contemplated leaving, but I think there are just too many helpful ways to use this tool to convince me to delete my profile. I agree! You cannot live your life getting influenced by others. I am not easily convinced with things like that and like this. What I believe is the way I want the things get going not because I am influenced by other persons to do this and that. Focus more on actually influencing those that you feel you are important to. Stop gaming, stop complaining and focus on what’s important.